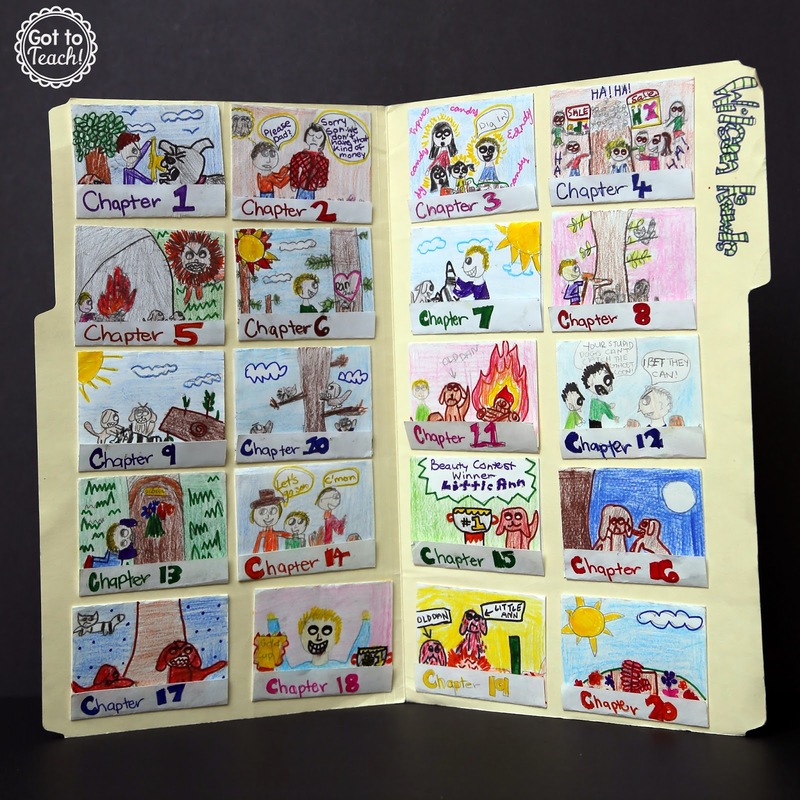 Here’s a super simple and fun project that you can have your students complete during your next novel study. I call them “Matchbook Summaries,” for lack of a better term, and they require little prep and materials. The look really cool when they are completed and make a perfect piece to add to your open house displays. 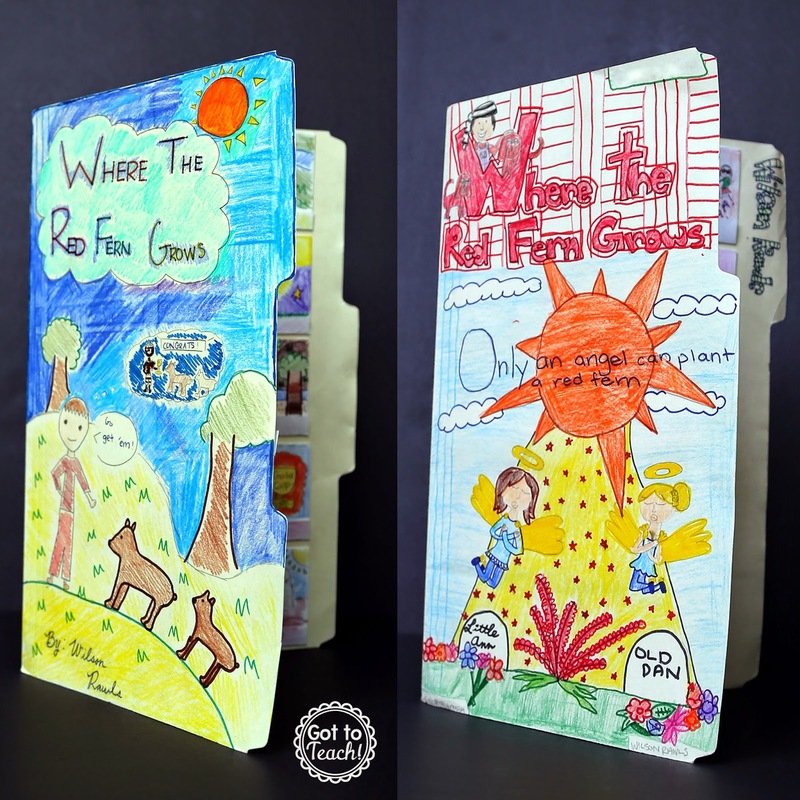 Each student will need one file folder; I used the legal size when we did these for Where the Red Fern Grows. Then you will need hundreds of “matchbook papers,” which are essentially 3.5 by 6 inches pieces of white construction paper; 3.5 by 6 inches is an approximate size and can vary depending on your novel and the number of chapters in it. Cutting your construction paper is really the most labor-intensive part of this whole project (well for you, anyway:-). 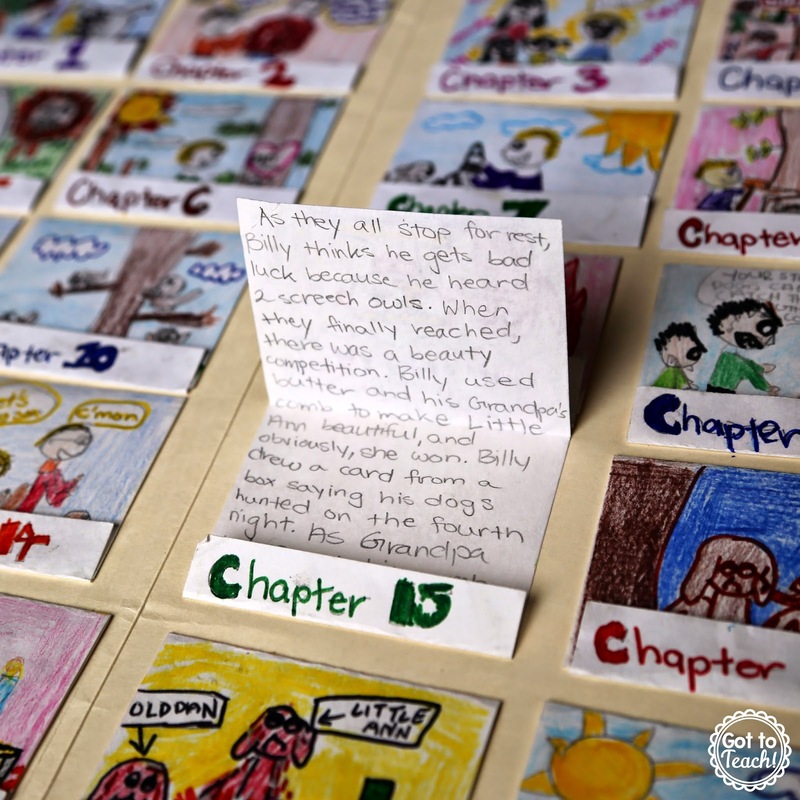 After completing each chapter, each student gets a “matchbook paper.” They fold the bottom “tab” up about 1/2 inch. The top side then gets folded down until it lines up with the crease from the tab. 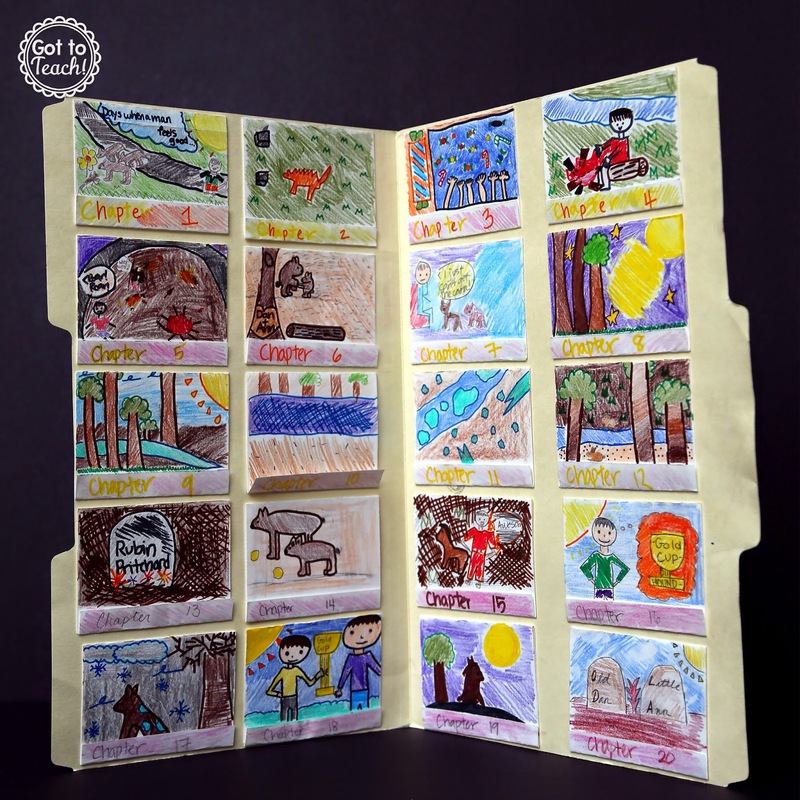 One the outside of the matchbook, students draw and color their favorite scene from that chapter. 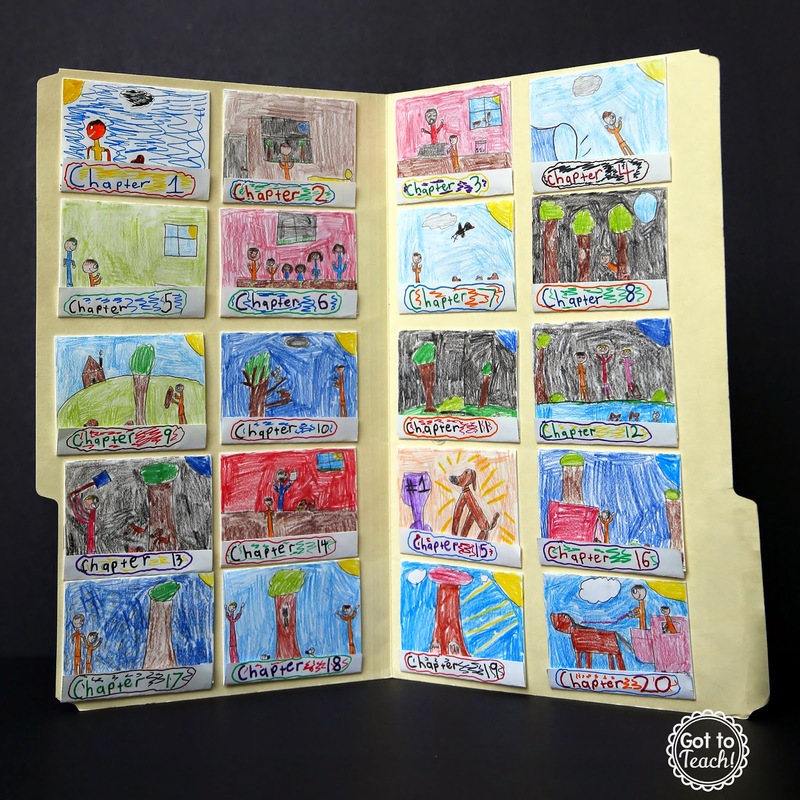 On the inside of the matchbook, students write a summary of the chapter. I require my students to write a 5-7 sentence summary; no more, no less. This really forces them to pick and choose the most important events to include in their summaries. I give each student a small ziplock bag to store all of their matchbooks for the duration of the novel study. We don’t glue them into the file folder until the very end when all matchbooks are complete. This allows them to arrange and fit them into the file folder appropriately. They look so nice when they are all complete, and they come in handy when students need to refer back to the text, but aren’t exactly sure where a particular event occurred in the book. Students then add the finishing touches by decorating the cover of the file folder. I use the rubric below to grade these. If you click on the image, you can download a free copy to use! 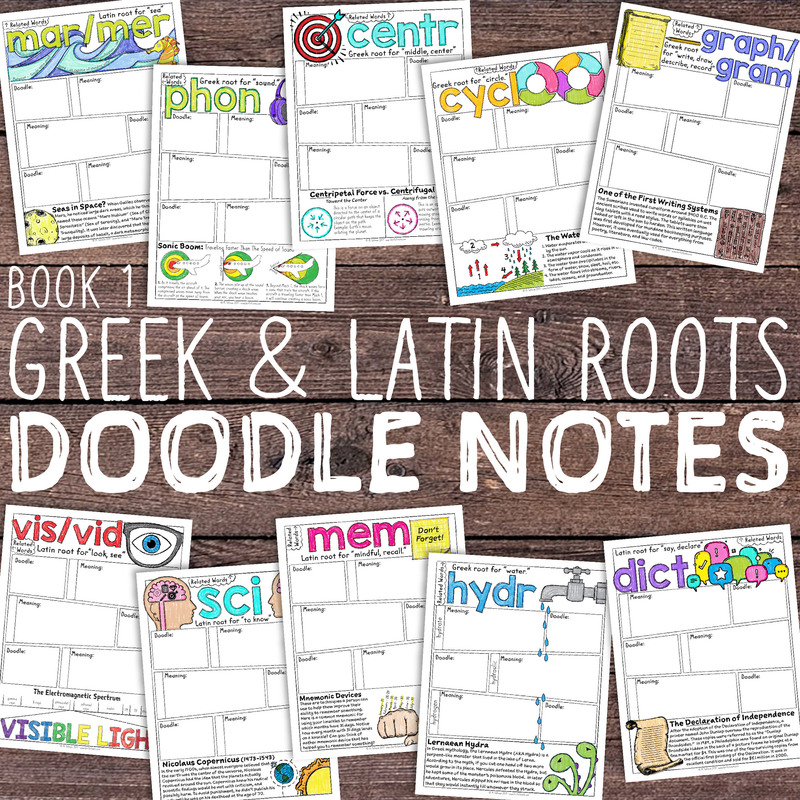 Check out these engaging resources that can be used with any novel!! !